This books is 55% off the print price! In decaying Northampton, eternity loiters between housing projects. Among saints, kings, prostitutes, and derelicts, a timeline unravels: second-century fiends wait in urine-scented stairwells, delinquent spectres undermine a century with tunnels, and in upstairs parlours, labourers with golden blood reduce fate to a snooker tournament. Through the labyrinthine streets and pages of Jerusalem tread ghosts singing hymns of wealth and poverty. They celebrate the English language, challenge mortality post-Einstein, and insist upon their slum as Blake’s eternal holy city. 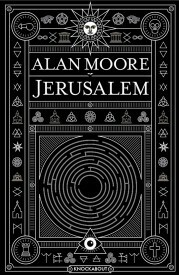 Fierce in its imagining and stupefying in its breadth, Jerusalem is the tale of everything, told from a vanished gutter. 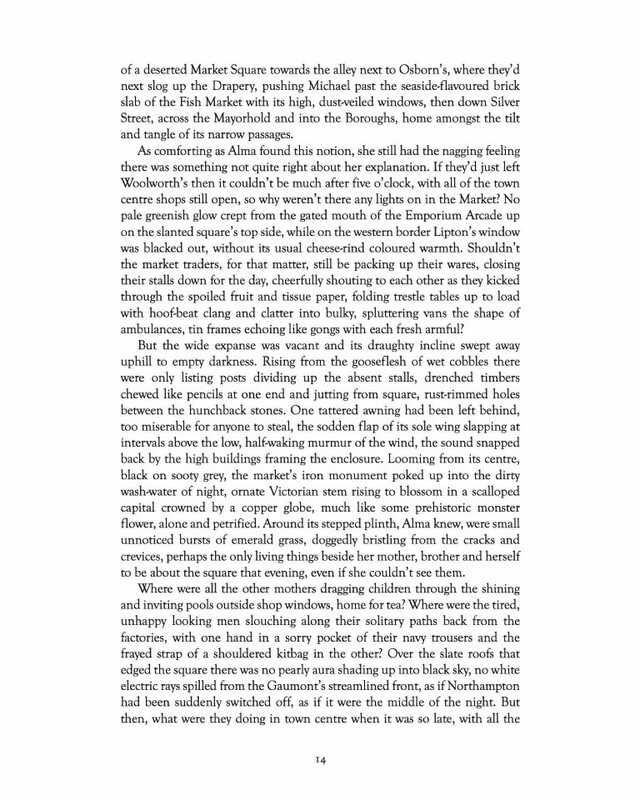 This book is a text-based novel, not a graphic novel. 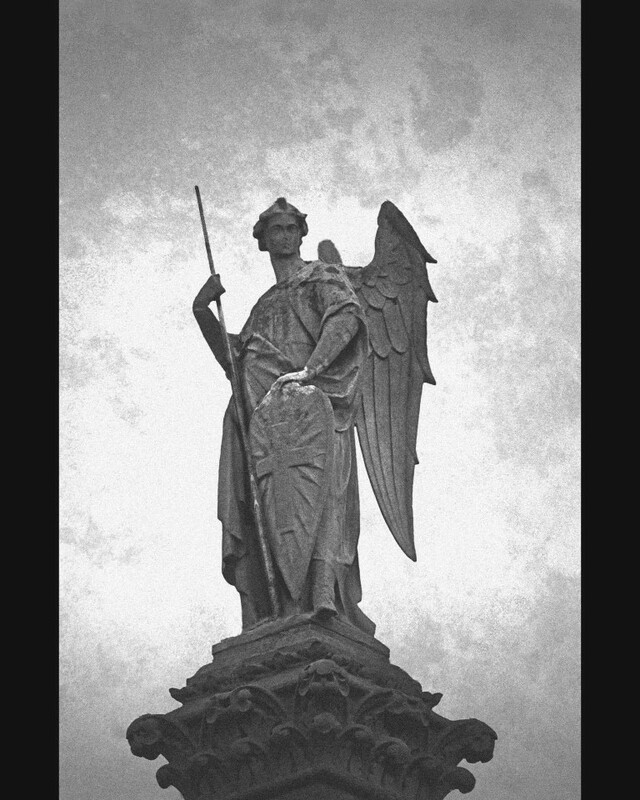 A love song for a vanished neighborhood, and a battle cry for an embattled class left behind by centuries of powermongers and tyrants and corporations and New Labour. 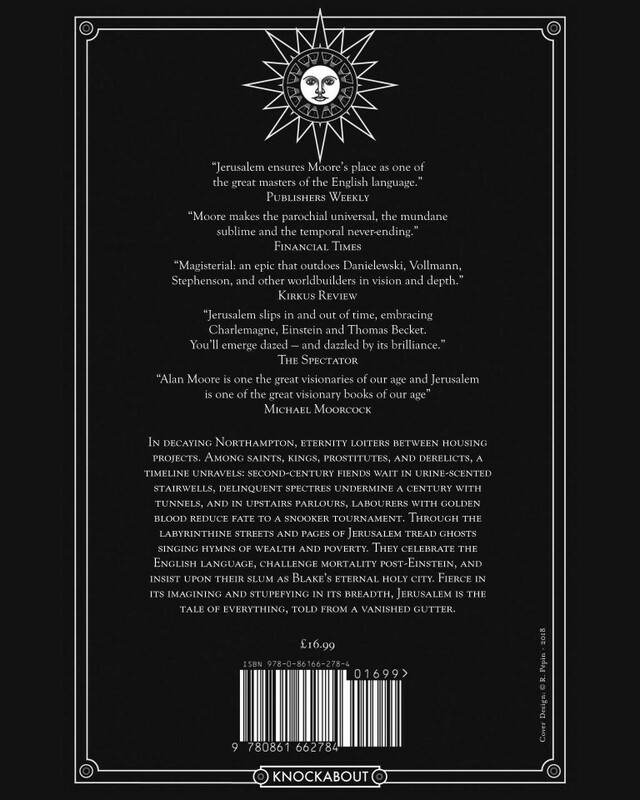 . . .Jerusalem soars high on the wings of the author’s psychedelic imagination. His bighearted passion for his people, his city, and the whole monstrous endeavor of the human condition is infectious. I’m not sure there’s a God, but I thank Her for Alan Moore. 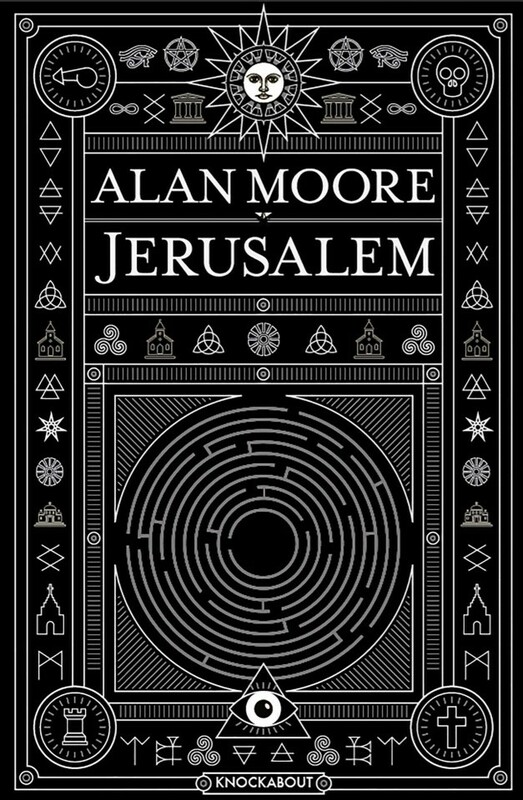 [Jerusalem] is confusing, hilarious, sad, mind-blowing, poignant, frustrating, and one of the most beautiful books ever written. More of a work of art than a novel, this book simply needs to be read. 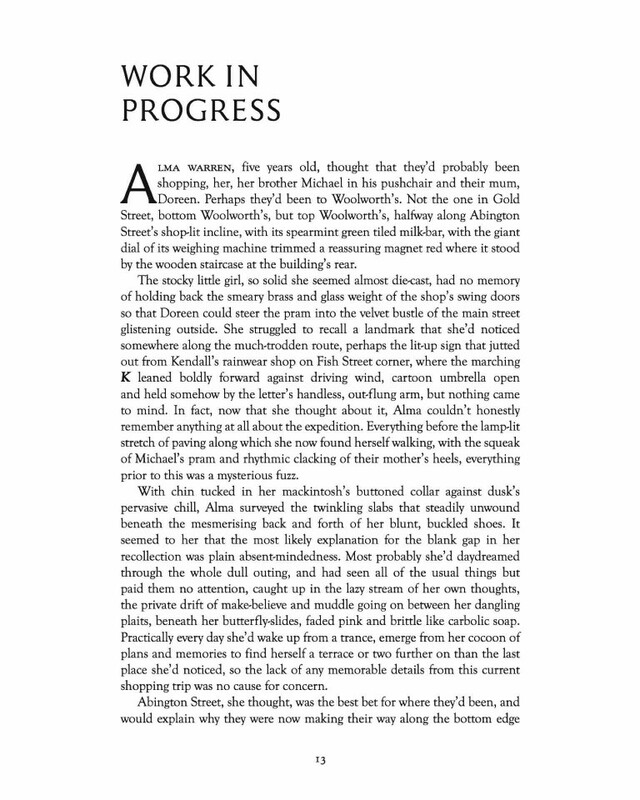 Brilliant…monumentally ambitious…Moore keeps lobbing treats to urge his readers onward: luscious turns of phrase, unexpected callbacks and internal links, philosophical digressions, Dad jokes, fantastical inventions…Behind all the formalism and eccentric virtuosity, there’s personal history from a writer who has rarely put himself into his own fiction before.